This article is sponsored by Firefly, a San Francisco-based technology company that specializes in the research, design, and manufacturing of vaporizer hardware. 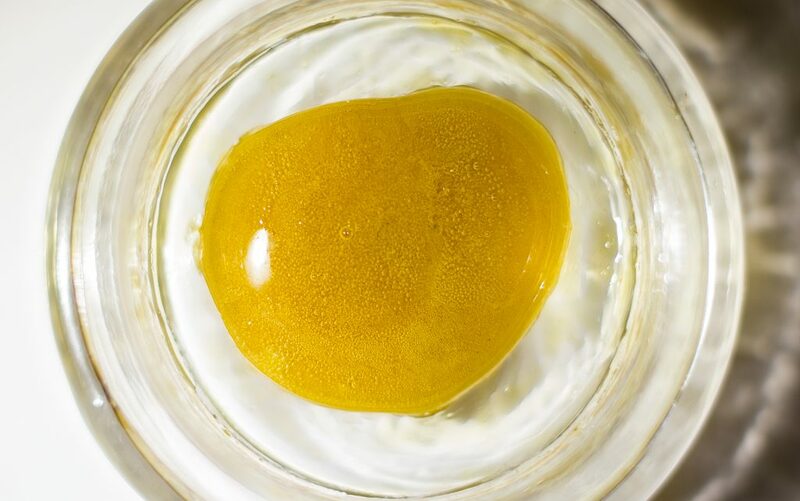 Cannabis concentrates aren’t going anywhere. 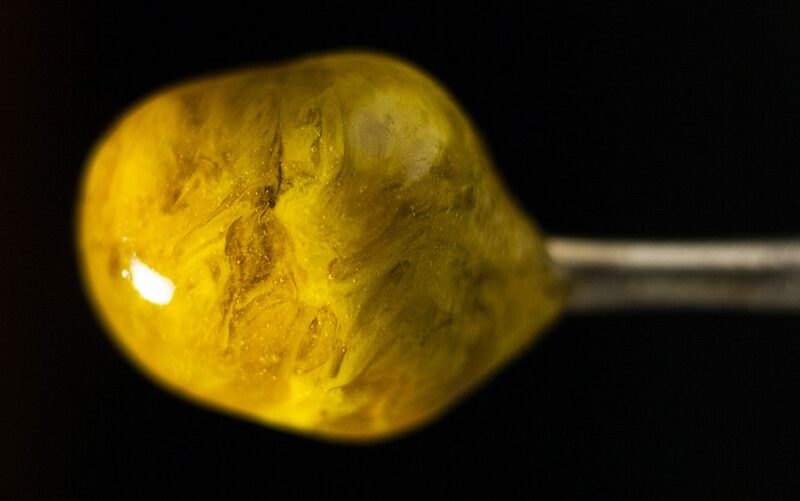 This segment of the market – which includes waxes, shatters, hash oils, rosins, tinctures, and more – is expanding at lightning speed, and may give us the most compelling vision of the future of cannabis consumption. That said, there’s still a lot we don’t know about extracts. Lauren Salgado (Mother Load Extracts; Johnny Apple CBD). 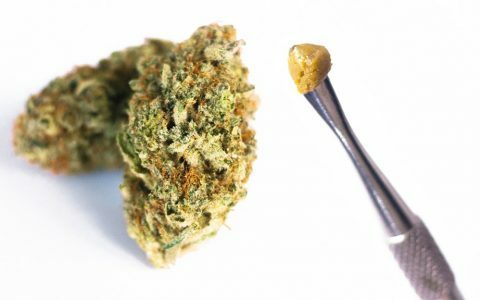 We asked them to speak to a wide variety of questions regarding concentrate use, including what consumers should consider when choosing between flower and concentrates, why vaporization works well for consuming both, and whether it’s possible to approximate a full-plant experience using extracts. Here’s what they had to say. What considerations should consumers take into account when choosing between flower and concentrates? Mitch Earleywine: We have markedly more data on flowers…concentrates are still new. 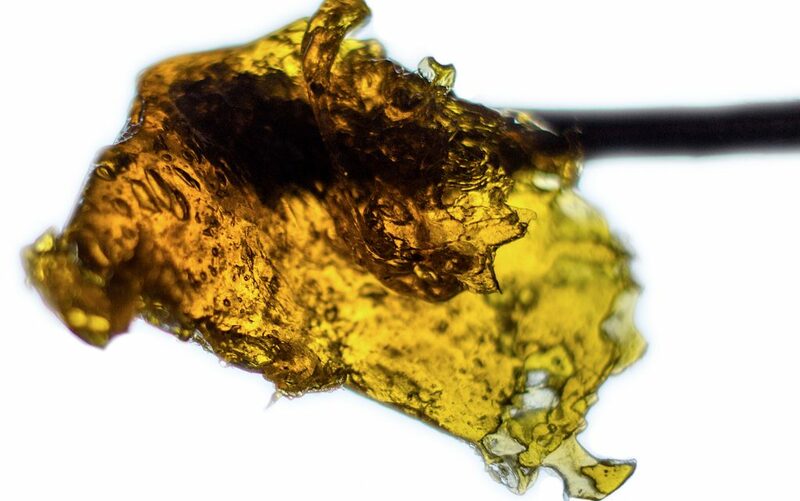 Concentrates can get a lot more THC into the bloodstream a lot faster. If you’re supremely nauseated or in a lot of pain or about to panic, this can be a huge advantage. The flavors and aromas are detectably different but subject to personal taste. Mark Williams: The main consideration is getting to know your body and getting to know what each does to you and being able to tease apart those effects so that you can choose something that will suit the mood that you’re trying to achieve. Dani Green: When you’re looking for discretion, always go with concentrates. [For example,] moms and business ladies don’t want to smell like weed. If you’re at home or out at something like a music show, I would go with flower. Personally I like the cleaner, better terpene profile of concentrates, especially with the Firefly. How do flower and concentrates differ in terms of aromas, flavors, effects, and medical benefits, especially when vaporized? Williams: If flower is like a glass of wine, then concentrates are more like grape juice with some distilled alcohol shot thrown in. Using a music analogy, flowers are more like vinyl records and concentrates are more like digital music: the advantage of the digital format is ease of use and the advantage of the LP format is depth of sensation. Robert Ferguson: The aromas and flavors of concentrates do differ from the flower, but many concentrates can offer great taste and aroma as well. However, after being vaporized the smell of a concentrate is different then the smell of vaporized flower. 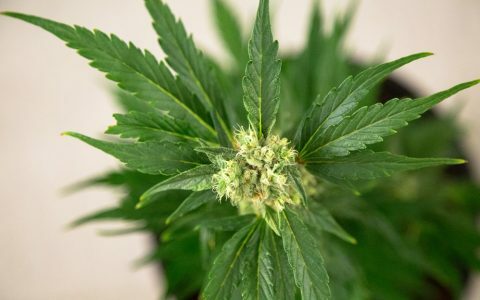 The medicinal effects of flower tend to be more wholesome, affecting the entire body and mind, while most concentrates are felt mostly in the mind. Green: Terpenes [are] really what it comes down to. Concentrates have a higher terpene profile, which is great if you’re looking for a specific need – for creativity or sedation or digestive aid, or if you’re going for a specific aroma and want to target limonene, linalool, myrcene, and get that entourage effect. 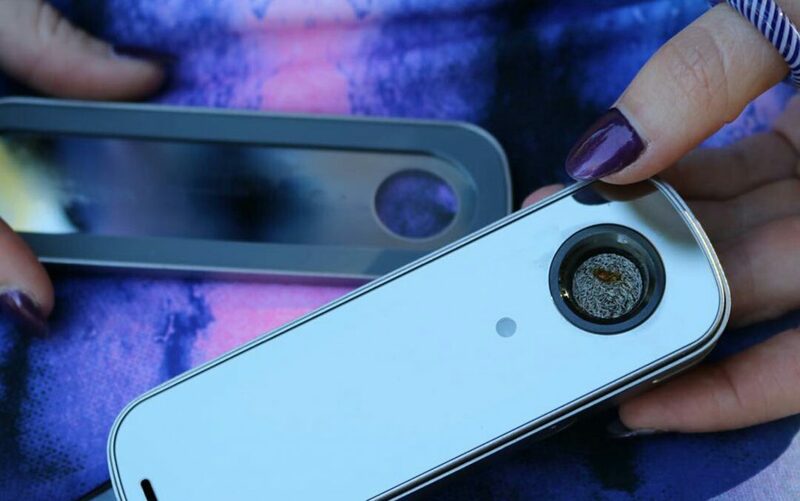 Can consumers recreate or approximate the whole-plant cannabis experience when vaporizing concentrates? How? Lauren Salgado: No. 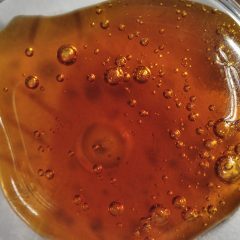 [Concentrate processing techniques] alter the compounds that make up the final product (wax, shatter, distillate, etc. ), therefore they cannot mimic the whole plant experience. Williams: No, not with the current state of concentrate production. The typical CO2 extracts have a lot less fidelity than a cold-pressed rosin. 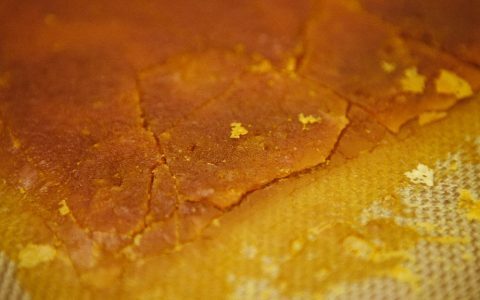 Less processed concentrates like rosin are closer but also not as convenient to use because of the texture. 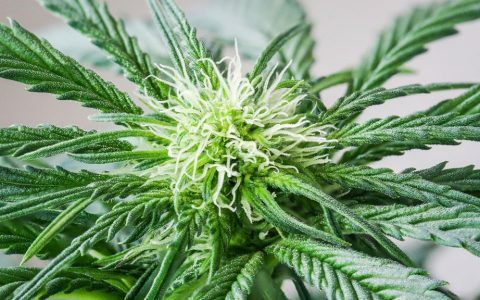 Ferguson: Many solvent-based extraction companies will reintegrate cannabis terpenes back into their product post-extraction to recapture the entourage effect of the flower, but in most cases some of the synergistic terpenes and cannabinoids are still absent. 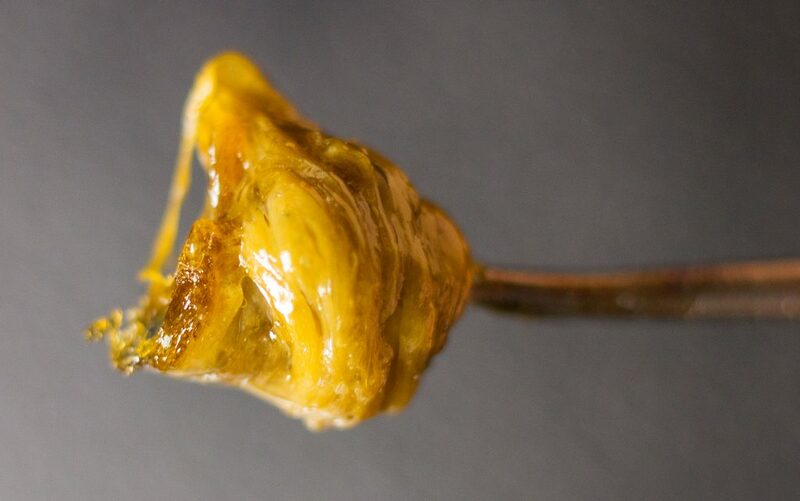 Hash and rosin are an excellent way to recapture the whole-plant cannabis experience. No solvents are used when producing hash or rosin so most, if not all cannabinoids and terpenes are still present in their natural ratios. How can factors that affect vaporization be manipulated to customize a concentrate high? Ferguson: When vaporizing concentrates, lower temperatures (380 to 400 degrees) tend to yield the best taste and flavor while higher temps can burn up terpenes or other compounds in concentrated oils. When using a vape pen for concentrates, it is best to only activate your atomizer for about three seconds and not to exceed five seconds. Williams: The key to getting the most from your concentrates is not to overheat them. The Firefly’s concentrate mode runs at less than half the temperature that a typical pen runs at. Since most concentrates these days have already been decarboxylated, you don’t need to heat them as much to enjoy the effects that you want. Green: [With] temperature control you can dial in to the correct temperature to customize it depending on how thick you like the [vapor…but] when you have a lot [of vapor], you’ve burned off terpenes and you won’t get a whole plant experience. Earleywine: As with other inhalations, a range of temperatures might be required to get optimal effects. Holding a big ‘lung buster’ hit really isn’t necessary … most cannabinoids are absorbed into the blood on contact. 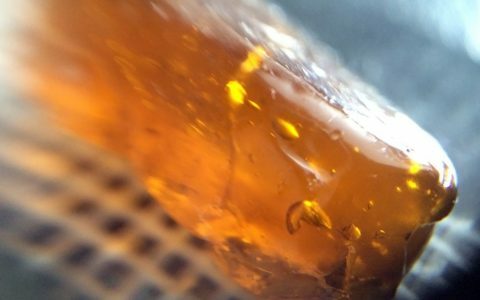 How do the main types of concentrates differ from one another, and do some types work better for vaporization? Ferguson: [Concentrates] that use solvents such as CO2, ethanol, or hydrocarbons … produce a product with a high concentration of specific cannabinoids like THC or CBD (between 50 and 90% total cannabinoids). 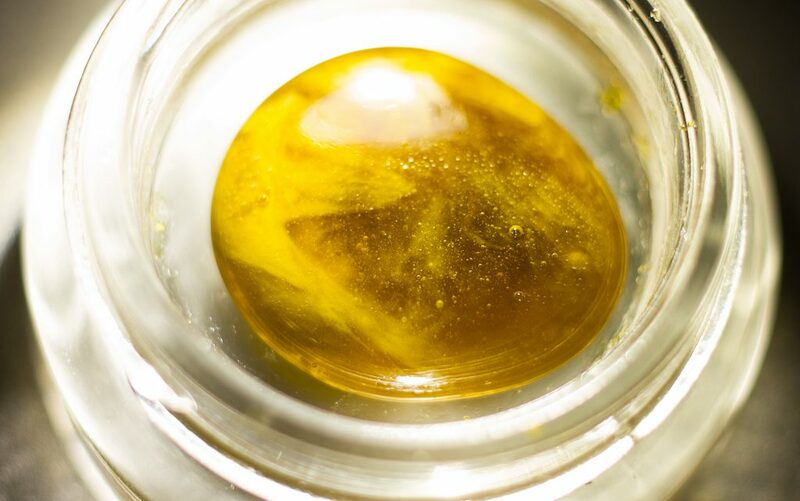 Some concentrates, like hash and rosins, use no solvents and maintain the natural ratio of cannabinoids found in flowers … These type of concentrates have an average potency of between 25 and 60% THC. Williams: Not all concentrates want to vape at the same temperature. 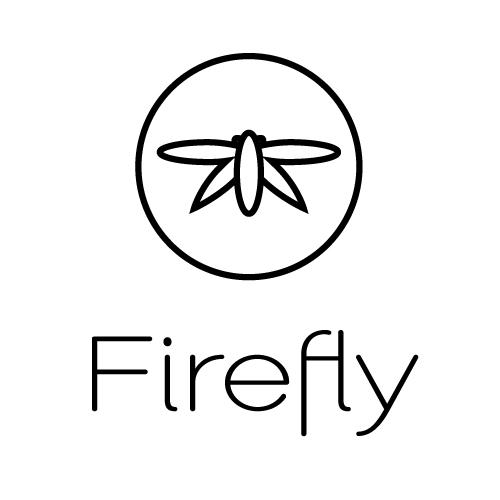 From Firefly, people can expect to see multiple concentrate settings in the future. 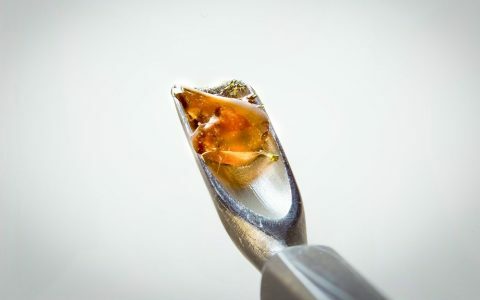 In your opinion, how is concentrate use changing as the cannabis industry evolves? What improvements or changes can consumers expect to see in the future? Ferguson: There are so many bright, innovative minds in the cannabis industry, constantly pondering ways to create safer, more effective medicine for the various needs of patients … Currently THC, CBD, and terpenes are the main focus of the concentrate industry, but through continued research, the benefits and potential uses of other cannabinoids and compounds like CBN and THCV [may come into play]. Earleywine: We are definitely seeing markedly better assurances that solvents are absent from the final product. I would not be surprised if we start seeing ‘light’ versions of some concentrates where there is actually more CBD and less THC in the product. 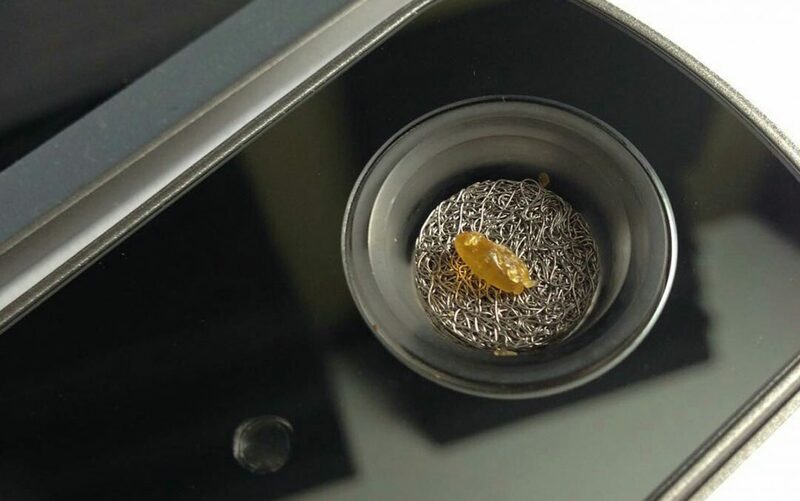 I think we will have more precise pre-measured products that will allow consumers to break off products in units as small as 0.1 grams and alter their consumption accordingly. Salgado: Single sourcing of material, and regulated lab testing … this will result in a quality increase, and a price decrease, which correlates to the sophistication of technology, lab tech advances being made, and those new processes and technology becoming more ubiquitous. Williams: We’ll continue to see greater emphasis on CBD and other cannabinoids beyond ∆-9 THC. We’ll see higher fidelity in their representation of the whole plant experience. We’ll see a much more informed and deeper association between the temperature you use to vaporize and a specific concentrate. Green: We were dealing with a lot of butane soup. We won’t have to worry about that in the future. We’ll see molecular isolation – using CBD-A crystalline and THC-A crystalline. We’ll be able to refine the processes and make really clean extracts and get rid of the stigma of dabbing. It’ll be more the norm. [In some places], flowers won’t even be on the market. 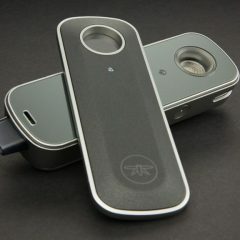 Firefly is a San Francisco-based technology company that specializes in the research, design, and manufacturing of vaporizer hardware. 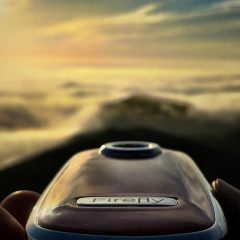 As for concentrates, the concentrate vapor I have experienced from my Firefly2 is the best, period. I love concentrates, and this is the best way to appreciate all the flavors and effects from my favorite oils. I’ve noticed so many different flavors that I have never experienced before I used the Firefly 2. Comparing the ritual of flowers to vaping concentrates using vinyl vs digital makes sense. The selection, grinding, and vaping are very much like flipping on a tube amp and picking out a favorite record. Using concentrates from an atomizer is a lot like choosing your favorite song from Spotify, easy. But the comparison ends there. Flowers have way more fidelity, closer to Spotify. Concentrates are missing a lot of nuances, sort of like listening to an old record that has degraded over time. I am interested in producing hash oil for use in a vape pen by soaking marijuana in everclear, removing the plant material and then distilling down the everclear to an oil. Is this a viable process. Will the resultant oil work in a vaporizer? Yes it will work, but it will collect a lot of unwanted materials. Best way is to freeze the dry plant matter in a glass vessel and also freeze the everclear (as high proof as you can get) once all is ice cold pour the cold everclear into the glass vessel with the cold plant material and agitate for 2 minutes, no more. Then pour through a filter and filter the ice cold liquid several times, then pour it into a flat bottom pyrex baking dish and allow it to evaporate. The result will be a shatter glass consistency honey oil that is dewaxed and should contain no or very little chlorophyl. Perfect for vaping. Good luck. This method is called QWET or quick wash ethanol tek. Rookie here. I am advised to use aromatherapy intake for og kush, preferring flower. would I consider “whole plant”? yes, if thc kept low. i get high on 15 drops of cbd oil—too much so.